When Hamas militants and Israel were exchanging rocket fire and airstrikes on Thursday, 17th of July, the Muslims and Jewish community in Chicago were busy sharing their prayers and meals. 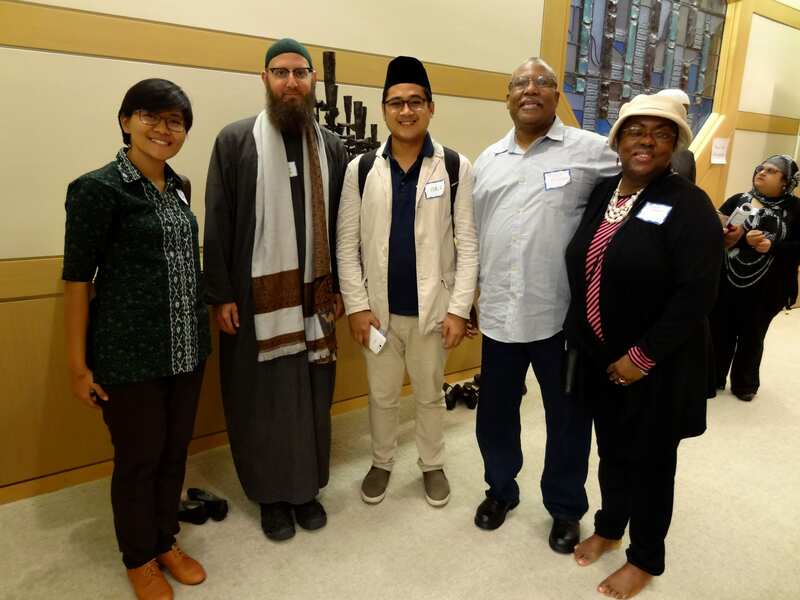 It was a privilege for the three of us (Yoes, Sabina and I), to be able to attend an interfaith gathering of Muslim and Jewish community in Chicago Sinai Congregation on Thursday evening. Thanks to our foster family, Theresa Cameron and Melvin who had invited us to this event. 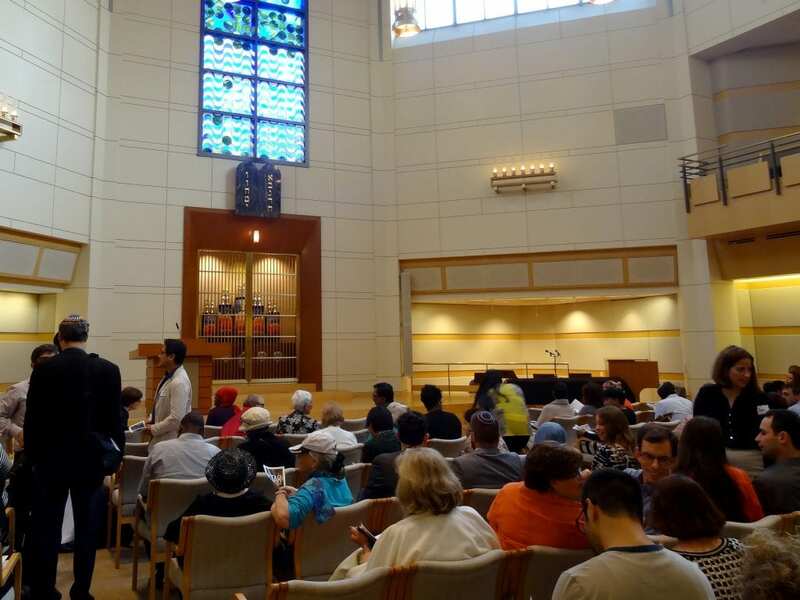 Iftar in the Synagogue is an annual event organized by the Jewish-Muslim Community Building Initiative (JMCBI) since 2005. Iftar is breaking the fast during the holy month of Ramadan for Muslims. The uniqueness of this event is that the Muslims in Chicago were not only breaking their fast in a Synagogue, but also carrying out their prayers, as well as sharing their stories and culture with the Jewish community. The theme of the event is “Rekindle Our Faith, Renew Our Community”, which expresses the common goal of both communities to bring hope, harmony and vitality to the city of Chicago through their faith traditions, as mentioned in their media coverage. The event was packed with people, showing the enthusiasm from both communities to get to know their differences and similarities. They also came from a variety of ethnicity, nationality, and age group. 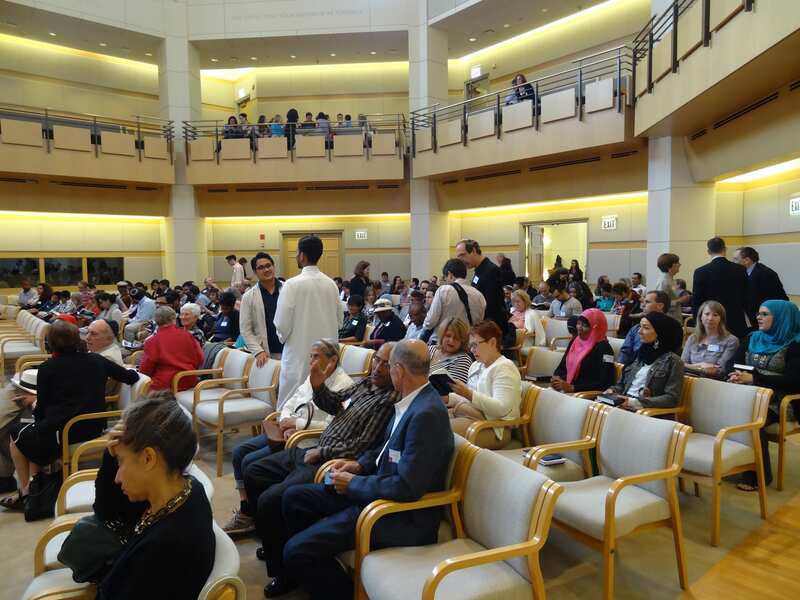 This event sought to navigate these differences, bring together hundreds of people for a celebration of Ramadan and forge friendship between religions. The evening included speeches from engaging speakers, Jewish and Muslim prayers, Kosher/halal dinner and discussions. 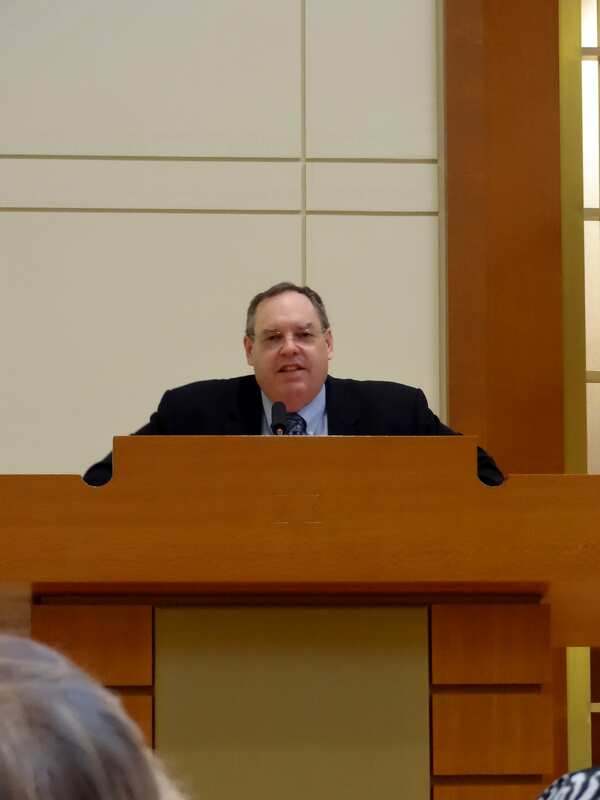 The speakers were Imam Abdul-Malik Ryan who is an Assistant Director of the Office of Religious Diversity at DePaul University, and Rabbi Michael Balinsky, the Executive Vice President of the Chicago Board of Rabbis. 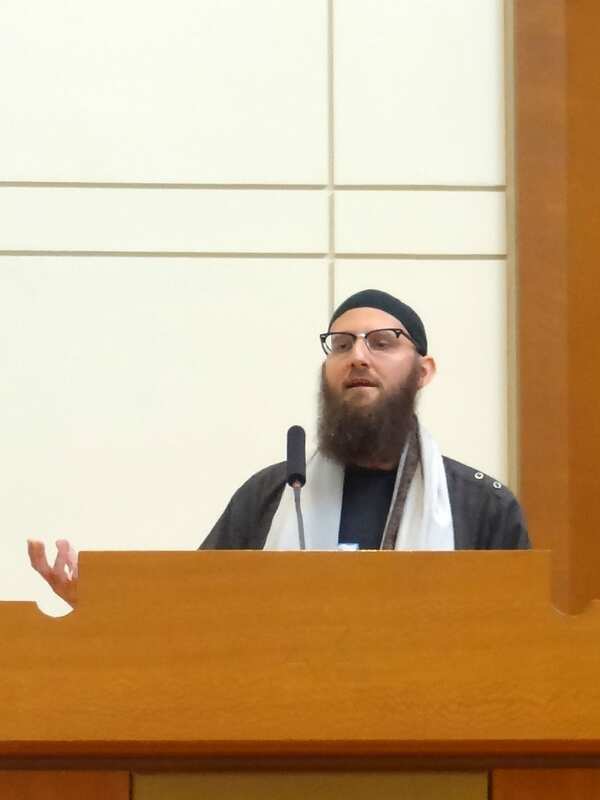 In their speeches, both Imam and Rabbi underlined the importance of building up a community outside their religious groups, paying more attention to the local and domestic issues in their neighborhood, and sharing their responsibilities as the citizens of Chicago. Both speakers also revealed their concerns on the conflict between Israel and Palestine, as well as on the insurgencies in Syria and Iraq. However, they also reminded that those conflicts should not destroy the community cohesion in Chicago. Instead, they also suggested the community to respond and act to several problems that are closer to the place they live, to help the poor and the marginalized people, as Chicago has a significant issue in terms of urban poverty, violence, and racism. After the speech from the two speakers, the event was continued with a prayer. The Jews conducted their worship in one room, while Muslims performed their prayers in the other room. The Jewish people were also welcomed to observe and even participate in the Muslim prayers. Surely Iftar was the focal point of this event, with a dish of kosher and halal food, which is also a similarity for Muslims and Jews. Both groups were sitting in one table, getting to know each other, and exchanging knowledge about their faith and traditional customs. The gathering is certainly a unique learning, which needs to be told to a wider community. It is an initiative to bring Jews and Muslims into a single community in addressing city problems, especially with regard to religious hatred and discrimination. It also leaves a legacy for the children to build friendship regardless ethnicity and religion. Interfaith harmony should become a headline of our media, instead of bombardment news on wars and other conflicts. This event is exemplary for other cities and nations where shared spaces need to be created in the midst of segregation between ethnic, racial, and religious communities, particularly in Indonesia as the largest Muslim country in the world. We should be able to create a space of interfaith dialogue, and to get to know our neighbors without stereotypes and negative judgments, as mentioned in the commandment: “You shall love your neighbor as yourself”.